Septic system spring cleaning is an important chore to add to your to-do-list if you have a septic system at your home. While septic systems are less common in suburbs and cities, many outlying areas or small developments rely on these on-site water tanks, or septic systems, to collect wastewater from homes. While septic systems can be efficient and simple to use, cleaning and maintenance is required to prevent possible disaster. Septic system spring cleaning doesn't have to be an especially arduous task, but it is a necessary one, so add it to your list of spring cleaning chores. What is Septic System Spring Cleaning? Pumping the septic system clean. Sludge in the tank must be removed by a licensed pumper at recommended intervals to keep your septic system happy. Why is Septic System Cleaning Important? Septic system cleaning is important for many reasons. The primary reason cleaning your septic system is important is to ensure that you septic system lasts as long as possible in good condition. For example, you could compare a septic system to a car. If you perform the proper maintenance on a car when it needs it, every time it needs it, chances are your car is going to last a good 10 to 15 years. However, if you neglect your car and do not provide the maintenance it requires, the car is more likely to break down and have major mechanical problems. The same applies to the maintenance required on a septic tank. If you do not perform the proper maintenance, the cost to repair the resulting damage could often be thousands of dollars. Septic system spring cleaning should be made a regular part of your spring cleaning routine. However, the system should not be cleaned and pumped until late spring or early summer for the best results. Late spring is the optimal time to clean the system because that is the time of year when the ground conditions are most conducive to performing the required maintenance properly. The frequency of required septic system cleanings depends on a number of different factors. Primarily this will be decided based on how many people reside in the household and the average water usage of the family. Generally, a thorough septic system cleaning must be performed every two to five years. However, for a family that uses more water than average, septic cleaning may need to be done more frequently. For a family who uses less water than average, the cleaning can be done less frequently. Septic systems need to be cleaned because of the build up of sludge and solid waste. 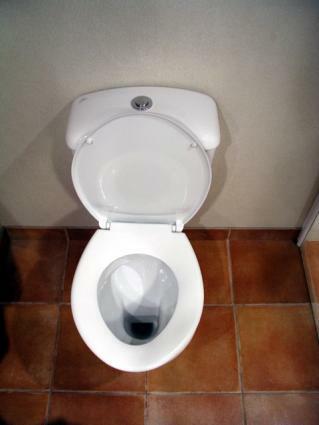 Solid wastes includes not only stool, but also toilet paper. Excessive toilet paper use or use of thick or bulky toilet paper can result in the need for more frequent cleanings. The excessive use of detergent can also necessitate more frequent septic cleaning because the soaps kill the bacteria that must be present in the septic tank to keep it balanced. Get motivated for spring cleaning! First, make sure to use a toilet paper that easily dissolves in water. A thicker paper that takes a long time to dissolve is more likely to cause a backup in the system or a clog. This type of toilet paper also takes up more room in the tank because it takes longer to dissolve. Second, use less water in everything that you do. Keep in mind that all of the water that you use in a single day is going to enter the septic tank. The process of filtration in the system before it releases liquid portions of waste into the groundwater is a somewhat lengthy process. Therefore, if you use too much water, you can cause an overflow in the system and the water will begin to leak out. Third, avoid the use of garbage disposals as much as possible. A garbage disposal can increase the usage space in a septic tank by 50% of the average. While the bacteria in the septic system will eventually break down the solids dispelled from the home through the disposal, this too is a lengthy process. If you do not provide your septic system with the proper recommended maintenance when it needs it, it will break down and it will most likely be expensive to repair. Most homeowners who neglect their septic system maintenance realize there is a problem when something begins to smell foul inside the home or outside of the home, or they notice seepage around the area of the septic tank. Many also believe that simply calling in someone to pump the sewage from the tank is going to fix the problem. In all reality, if the state of your septic system has gotten that poor, odds are it is going to need more than a simple pump out to repair. If you do not perform the proper maintenance and cleaning, you should be prepared to not only dish out the money for the pumping of the system, but also thousands of dollars in repair costs either to reinstall a new tank or make major repairs to the one that already exists.